These together account for 40 per cent of bad loans of around Rs 4 trillion. With the RBI's deadline ending on Wednesday to resolve the 28 large stressed accounts that the regulator had identified on its second list, banks are set to refer as many as 23 of them for insolvency proceedings. In August, the Reserve Bank had asked banks to either resolve the 28 large stressed accounts by December 13 or refer them to the National Company Law Tribunal (NCLT) by December 31. "Except for Anrak Aluminium, Jayaswal Neco Industries, Soma Enterprises and Jaiprakash Associates, all other accounts are going to the NCLT (for resolution)," a senior banker told PTI. Some of the large accounts which are likely to go to the NCLT include Asian Color Coated Ispat, Castex Technologies, Coastal Projects, East Coast Energy, IVRCL, Orchid Pharma, SEL Manufacturing, Uttam Galva Metallic, Uttam Galva Steel, Visa Steel, Essar Projects, Jai Balaji Industries, Monnet Power, Nagarjuna Oil Refinery, Ruchi Soya Industries and Wind World India. In the case of Anrak Aluminium, the lenders are looking for a one-time settlement while for Soma Enterprises, the banker said the account is closer to resolution. For Jaiprakash Associates -- its EPC business arm – the lenders are seeking the Reserve Bank approval for a "deep restructuring", another banker said. The lenders have also sought RBI permission to extend the December 13 deadline for Videocon Industries, where they have huge exposure, said another banker. "If the RBI gives us some extension for Videocon Industries, then it is fine. Otherwise, it will also have to go to the NCLT," said the banker. "For these accounts, there is hardly any traction for us to do it in another 10-15 days," said a senior official from a state-owned bank. The lenders have the restructuring option under S4A (Scheme for Sustainable Structuring of Stressed Assets), SDR (Strategic Debt Restructuring) or 5/25 schemes till Wednesday. 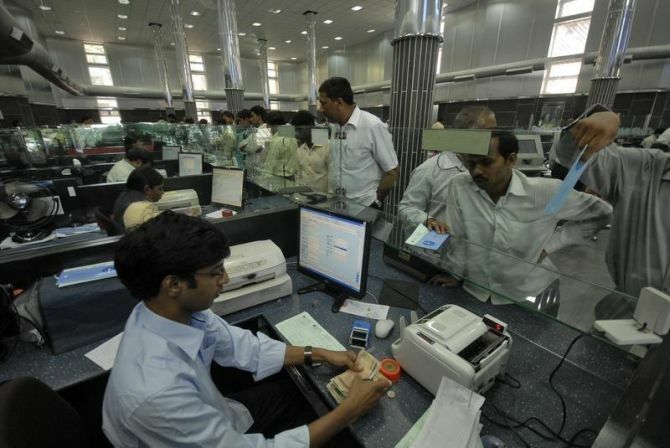 Many bankers said that though they asked for extension on Wednesday's deadline, they don't expect the RBI to oblige. Once these accounts pass the resolution deadline, banks will have to refer them to the NCLT in the next 18 days that is December 31. Banks will also have to make a provision of 50 per cent on these accounts by March 2018. It can be noted that of the 12 largest accounts that the RBI had named on the June list, 11 of them are under the NCLT. These 12 accounts were worth a quarter of over Rs 10 trillion dud loans in the system. MORE banking reforms coming soon!